The moveit_commander Python package offers wrappers for the functionality provided in MoveIt!. Simple interfaces are available for motion planning, computation of Cartesian paths, and pick and place. The moveit_commander package also includes a command line interface, moveit_commander_cmdline.py. 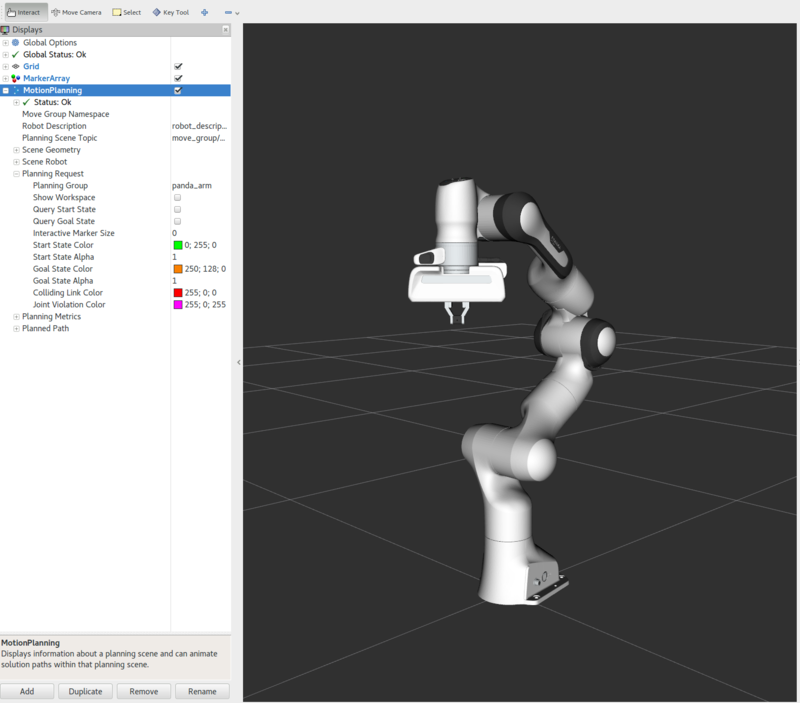 This will remember the current joint values of the robot group under the name c. Matlab-like syntax is available for modifying joint values. The code above copies the joint values of c into a new variable named goal. We then modify the first joint of goal to 0.2. You may need to use a different value instead of 0.2 (it needs to be within your allowed bounds and not cause collisions). The go command plans a motion and executes it. This is slightly inefficient, but the advantage is that the plan command allows you to visualize the computed motion plan in RViz before you actually issue the execute command. For a list of supported commands, you can type help. To exit the moveit_commander interface you can type quit.